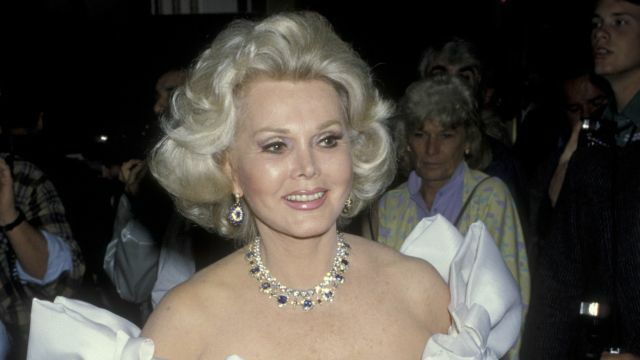 Socialite and celebrity Zsa Zsa Gabor has passed away at the age of 99. The actress suffered from a heart attack in her home in Los Angeles earlier this afternoon. Gabor was well known for having had nine husbands over her lifetime, including hotel mogul Conrad Hilton (grandfather of Paris), actor George Sanders, designer Jack Ryan (who crafted the Barbie doll among other toys), attorney and character actor Felipe de Alba, and Frédéric Prinz von Anhalt, with whom she has been married to the past thirty years. She began her career on the stage, after being awarded the Miss Hungary crown in 1936 and later transitioned into film and television in America. Her first feature film role was in the 1952 feature Lovely to Look At, based on the Broadway musical Roberta. Her other credits include Moulin Rouge (1952), Touch of Evil, Queen of Outer Space, and many more. She also parodied herself in cameo roles in some films such as A Nightmare on Elm Street 3: Dream Warriors, The Naked Gun 2.5: the Smell of Fear and The Beverly Hillbillies. Gabor also had a career on television including appearances on Mister Ed, Gilligan’s Island, Bonanza, Batman, The Love Boat and The Fresh Prince of Bel-Air. She is preceded in death by her sisters Magda and Eva Gabor, and her daughtyer Francesca Hilton.